Disclosure: This post was sponsored by Dempster’s. The opinions are completely my own based on my experience. It’s been said time and time again that breakfast is the most important meal of the day. I admit that I used to skip eating breakfast, but I’ve changed my ways since having kids. When I prepare my kids breakfast, I’ll make sure I eat something too. I need the energy it provides to keep me going through my busy work and family schedule. The good news is that breakfast doesn’t have to be boring and you can let your creativity shine in many different ways. For our family, weekday breakfasts are much simpler than weekend breakfasts. During the week, I’m usually stretched for time and trying to rush my kids out the door to school. One of our favourite breakfast staples is a simple piece of toast with butter and honey. Our recent breakfasts have been slices of the new Dempster’s Honey Wheat Bread. It’s new in stores for a limited time and is a must-try! My family loves it. So why honey? The question should really be why not honey. This natural sweetener is an emerging trend in Canada with production up 11% since 2015. Many Canadian families are using honey to sweeten their recipes over refined sugar. For me, I’ve been using honey in more and more recipes from everything to breakfast to entrees. It’s delicious. 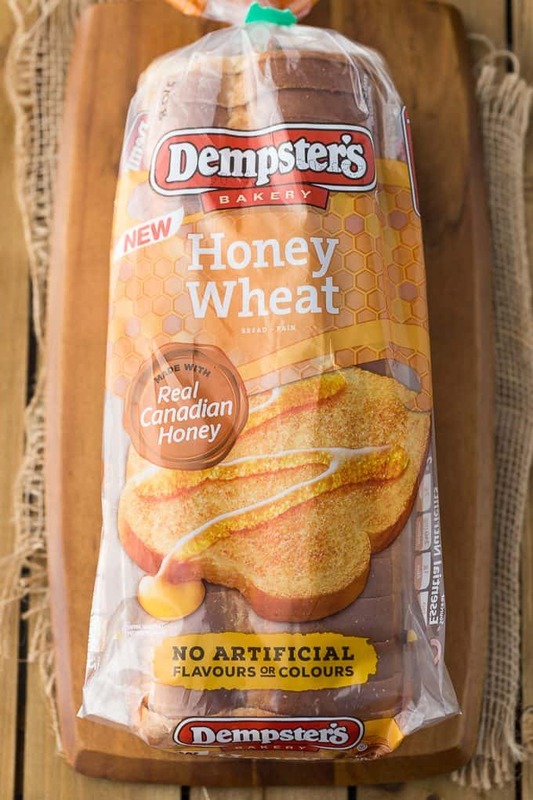 Dempster’s Honey Wheat Bread is made with real Canadian honey and contains no artificial flavours or colours. Try a slice for breakfast with a little bit of honey on top and I’m sure you’ll fall in love like we did. You can taste a hint of honey in every bite. 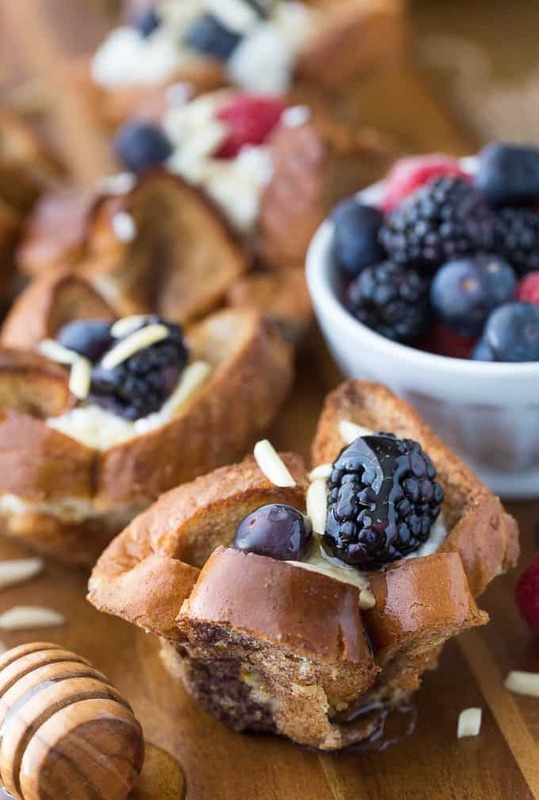 I was inspired to create these yummy Honey Almond Breakfast Cups with my loaf of Dempster’s Honey Wheat Bread. It’s perfect for lazy weekends when you want to try something a little different and more refined for breakfast. 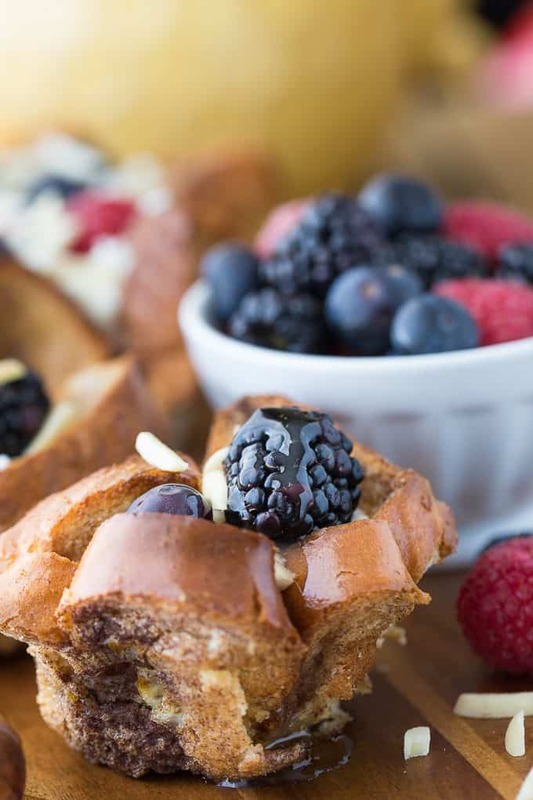 Think French Toast jazzed up with a sweet, creamy filling and fresh toppings. Of course, I added more Canadian honey to give it an extra bit of yum factor. To start, you make it the same way you would French Toast with a mixture of eggs and milk. 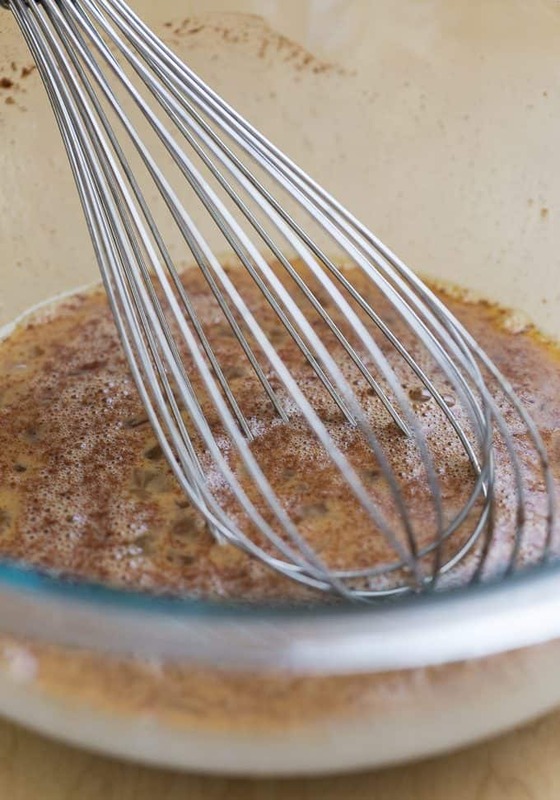 I also added cinnamon and honey to the mixture for extra flavour. 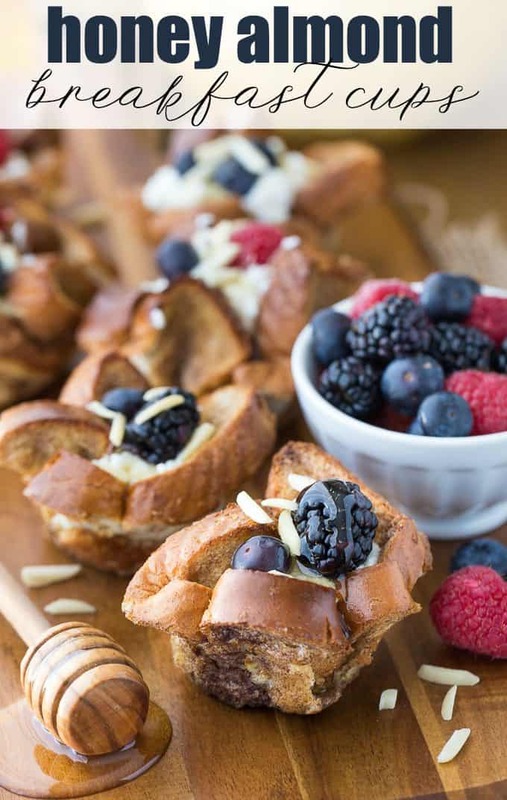 Dempster’s Honey Wheat Bread is the perfect “cup” holder for this breakfast/brunch recipe. 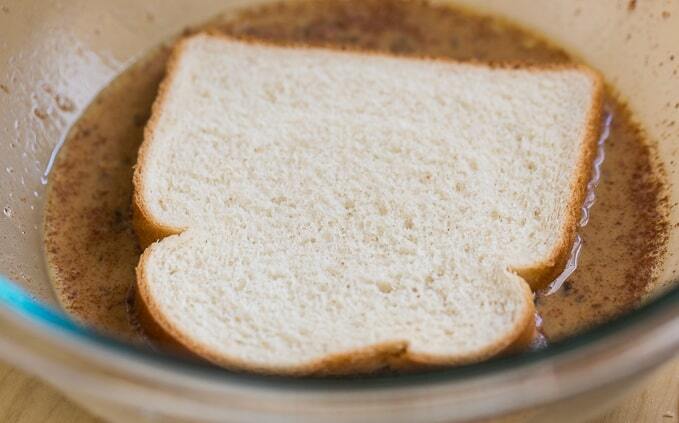 Drench Dempster’s Honey Wheat Bread in your egg mixture ensuring that both sides are completely covered. Then mold them into a greased muffin tin to create a cup shape. They bake in the oven for about 12 minutes and come out perfectly golden and ready to be filled. For the filling, I used a mixture of ricotta cheese and honey. 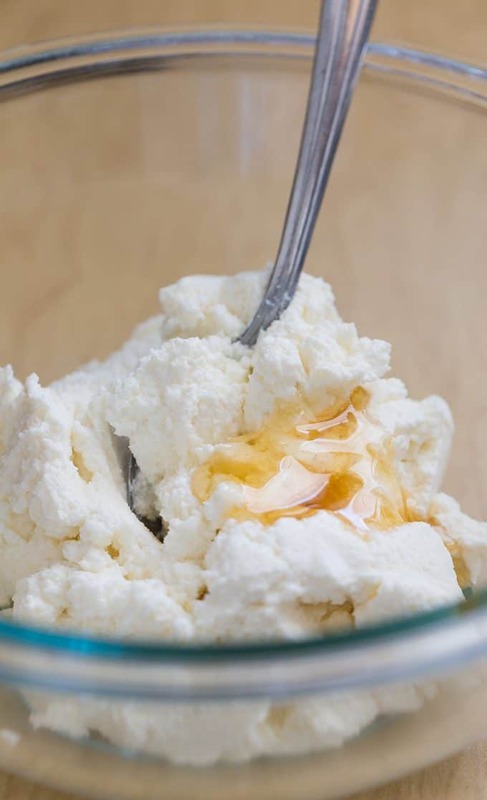 If you don’t have ricotta cheese, you could also use cottage cheese in its place. The honey gives it a nice punch of sweetness. Then comes the fun part – dressing them up with your favourite toppings. Kids love to help with this part of the process. We added fresh berries, slivered almonds and another drizzling of honey. And wow are they are good! This recipe makes six cups, but you could easily double it if you are feeding more people. The best part is that it’s easy to make with little effort. I’m definitely making them again when we have family visiting overnight. Why slave over a stove when you can create these gorgeous bundles of deliciousness! I loved watching my family gobble them done. Seeing them enjoy every last bite made me feel happy and like a meal time hero. It’s those little things that mean the most in life! As a mom of picky eaters, I know first-hand how frustrating it is to make something that no one wants to eat. Thankfully, my family LOVED this breakfast and didn’t leave any behind. In fact, I even had requests to make it again the next morning! 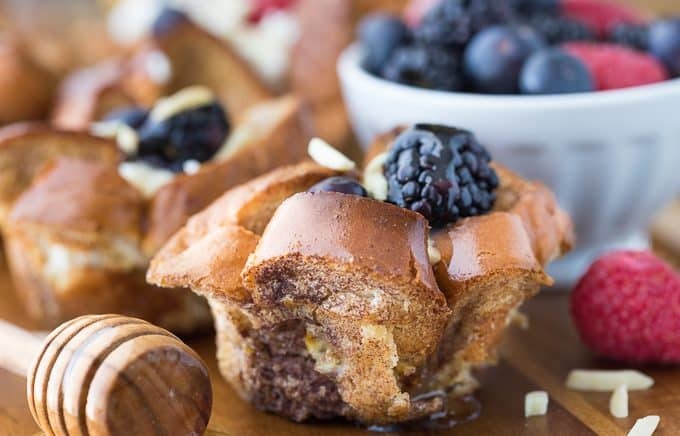 Fresh and perfectly sweet, these Honey Almond Breakfast Cups will make you a breakfast hero and no one has to know how little effort they took to make. I hope you’ll give them a try and let me know what you thought! If my family is any indication, I’m sure they’ll be an instant hit with yours too. 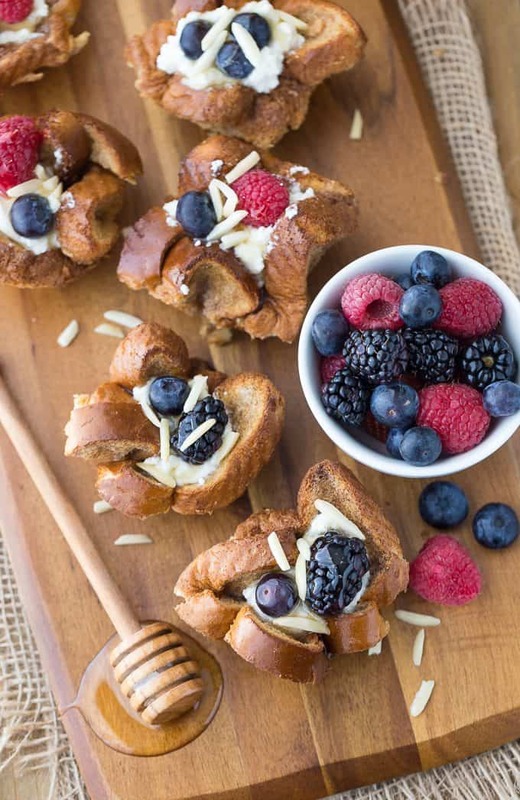 Do you think your family would enjoy these Honey Almond Breakfast Cups? Connect with Dempster’s on Facebook, Instagram and Twitter. Those look SO yummy! I would have never thought about doing this like this! I will be defiantly be trying this out! What a great breakfast idea! Wow,thanks for sharing these look so delicious i can’t wait to surprise my family with these. These breakfast cups look incredible and are so cute! It’s like a portable version of french toast! These look absolutely amazing. I never would have thought to use bread for the cups like that. Yum and a nice change from regular french toast, plus this would be a bit more filling and the cheese would give it a bit more protein I am guessing. This seems like a much easier version of French toast – especially if you’re making it for a crowd. Definitely trying this recipe. Oh yum! This sounds really tasty and looks so easy to make. I could even manage these on busy weekday mornings. Oh wow, I bet these are so flavorful! I’d love to make some of them for the family! That honey flavor sounds amazing right now. Yum!!! I think that these look absolutely amazing! I am a huge fan of honey and almonds so I know that I would love them! I love this idea! This would be fun to have for Sunday brunch with different fruits. Yum! Wow! Those look so good! I am definitely trying some of these over the weekend! Those are wonderful! I like all the flavors in them and how easy they are to make. It’s great to have a healthy breakfast! These look fabulous! I will definitely try this one of these days! Oh yum! 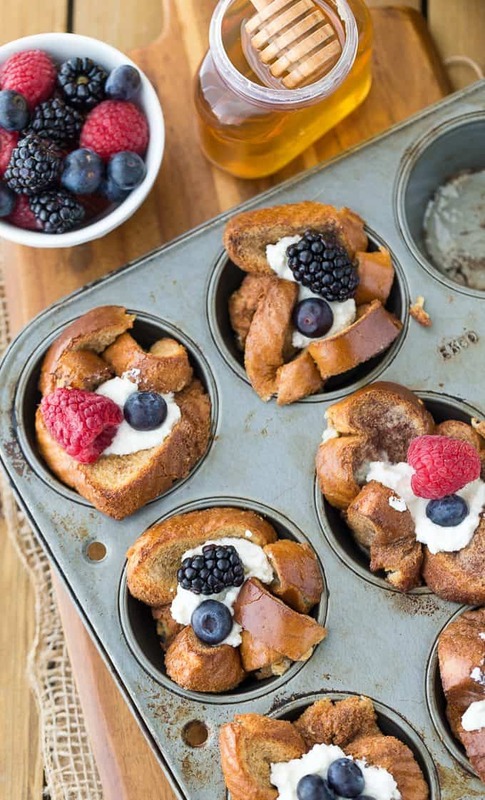 These Breakfast cups look so delicious! I really want to try making these and I love the filling. My kids would love this for breakfast. Thanks for sharing. I would love these for breakfast. I’ll have to pick up some of this bread. I can see my daughter wanting these a lot. These look and sound so very delicious! Definitely my kind of breakfast. Wow this is really delicious looking! I have to say that bread looks so fluffy and amazing! I need to try this! Like always, your recipe is spot on. This look incredible and I’ll be trying this! I love this bread (I’m having a turkey sandwich right now with it). I’m always looking for new breakfast ideas, so these would be great. Wow this looks delicious! I am definitely making these for the kiddies Saturday morning! 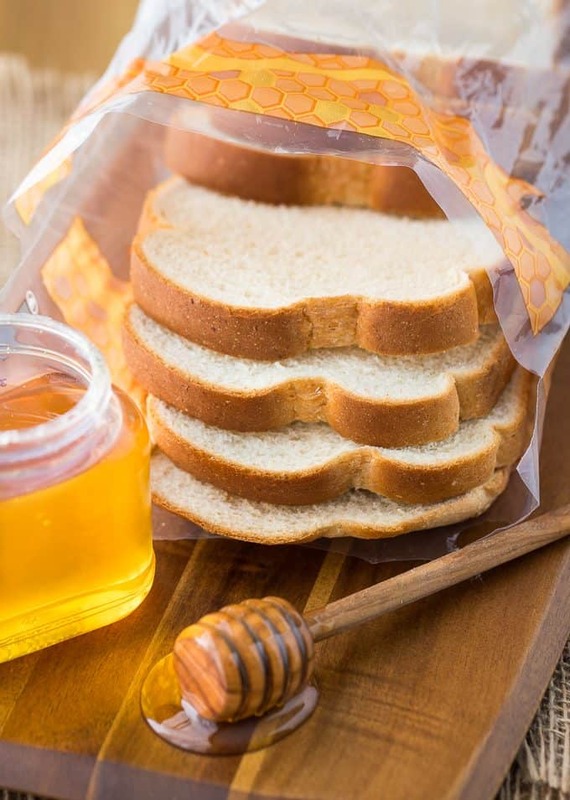 I have always liked toast and honey, but haven’t seen the new Dempster’s Honey Wheat Bread in our store yet. Oh these are so so fun! 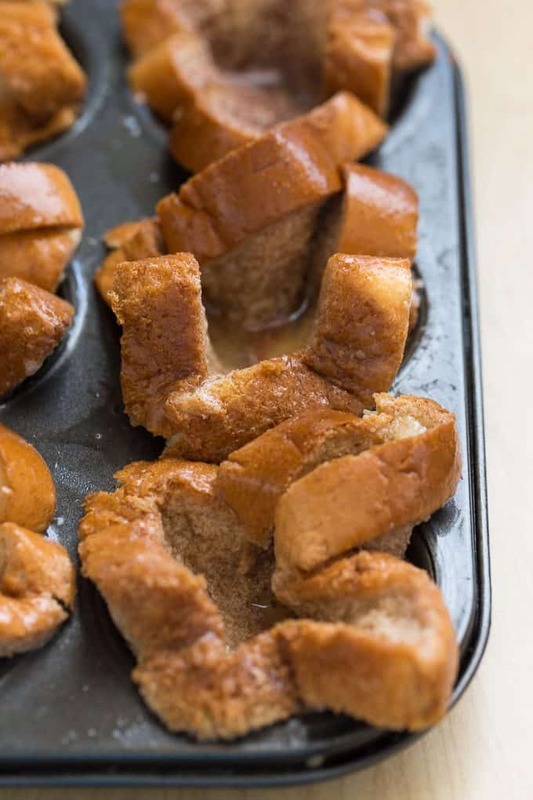 My girls love french toast, this sounds perfect for a weekend breakfast!! These breakfast cups look delicious. I can understand why your family wanted to have ti again the next morning. 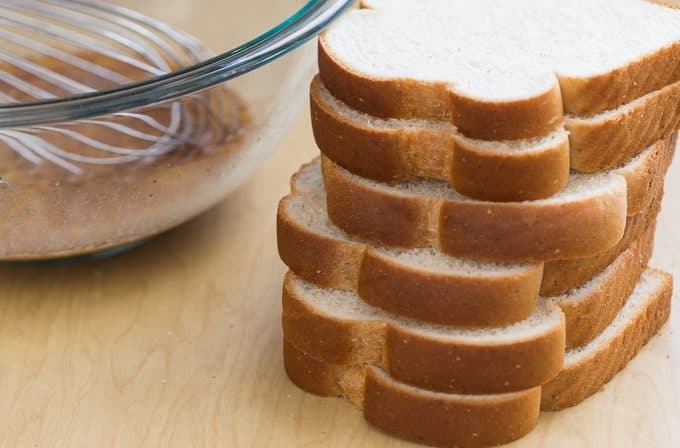 I have to try to use my bread , honey and other ingredients to make my own version. I’ve been using honey a lot too. It’s my favourite sweetener now. Oh I’m so wanting those like right now lol and I’m ashamed to say the only item I have for it is honey. Stacie, Yum! These look fantastic! Pinning to share. Thanks for being a part of Brag About it this week and sharing your fabulous recipes! What a tasty weekend breakfast idea! I’ve never thought to use slices of bread to make a cup like that. Beautiful pictures and it looks like a great and easy recipe! Adding to my Pinterest queue. 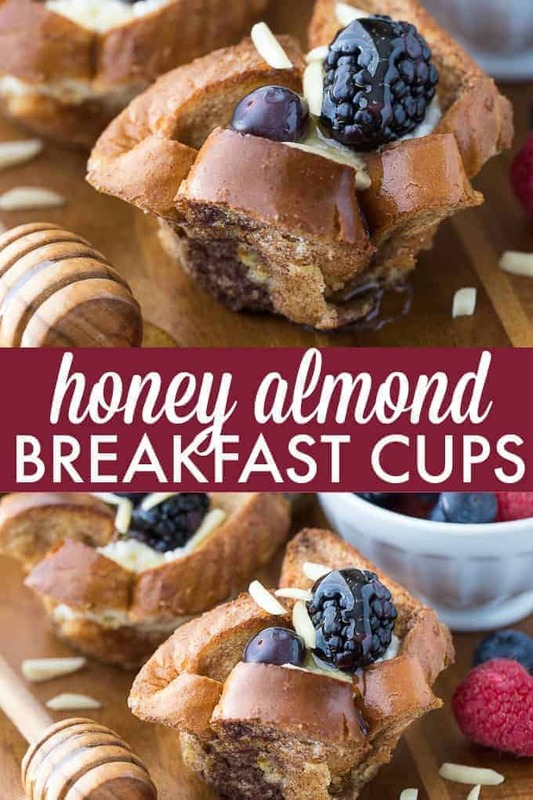 I’m always looking for something new to try for breakfast, and these breakfast cups look so good! Thanks for the recipe! What a fun idea to jazz up a weekend breakfast! I love how easy it is too. We will love your Breakfast Cups! Thanks so much for sharing your awesome recipe with us at Full Plate Thursday. Hope you are having a great day and come back to see us real soon! Looks so delicious! Thanks for sharing at the #InspirationSpotlight Party. Pinned & Shared.